King & Country's Crimean War figures are excellent for creating displays from any of the famous actions that took place during that conflict, such as The Charge of the Light Brigade. The Crimean War made history not just for the actions on the field, but also for creating the modern profession of nursing--owing to the intervention of the famous 'Lady with the Lamp' herself, Florence Nightingale. We're proud here at Treefrog Treasures to be your exclusive source for K&C's CRW figures in the United States. We've bought out the last of the inventory we could, and so when pieces sell out, they're gone for good! 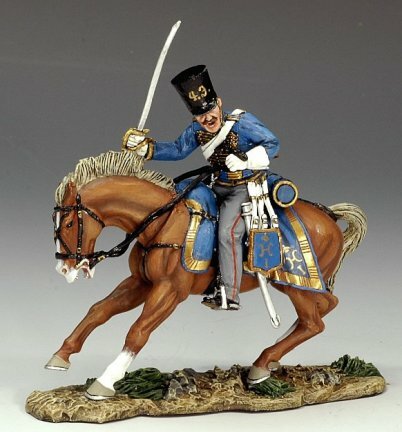 These metal toy soldiers are individually hand painted with painstaking detail and historical accuracy. 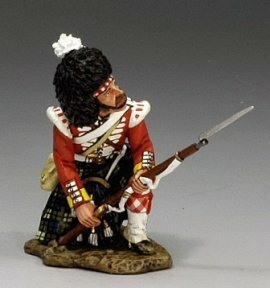 Collectors can choose from single infantry figures, mounted soldiers, personalities, artillery, and two figure vignettes. Take a look at our extensive King & Country Crimean War metal toy soldier collection today.